Programs that support activities that enhance and improve the quality of life or provide a specific service for the citIzens of Austin, Texas. Programs and projects that enhance the learning process for children. Transitional programs for young adults to become productive adults. Mentoring and/or tutoring programs that help youth build self-esteem, positive values, expand opportunities and increase their potential. Youth related organizations that focus on after school programs within the City of Austin that help keep children safe and provide structured activities. Support Austin Police Officers and their families in times of need. 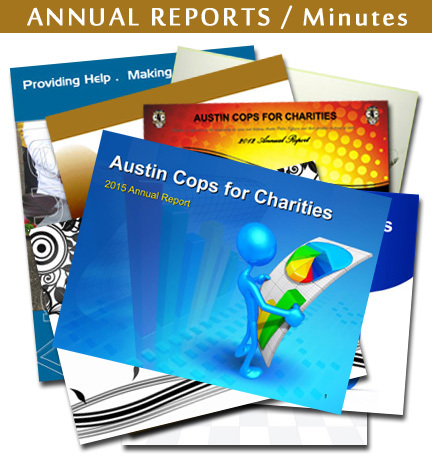 Support organized fundraising efforts to help local law enforcement officers and/or staff members of the Austin Police Association and the Austin Police Department who are facing financial emergencies.